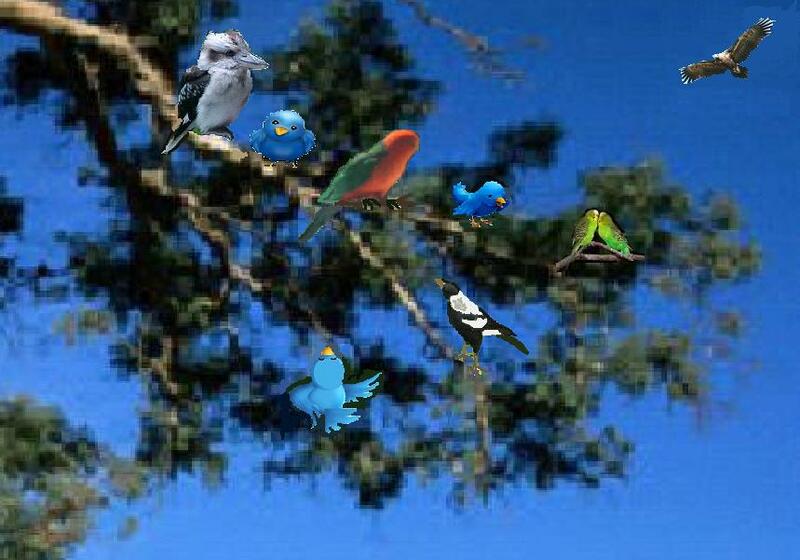 The Twitter birds joined a group of Australian birds for a sing-a-long. Kookaburra tried hard to refrain from laughing, Wedge-tailed Eagle soared overhead seeking his next meal and the budgerigars were more interested in kissing (just a pair of lovebirds). 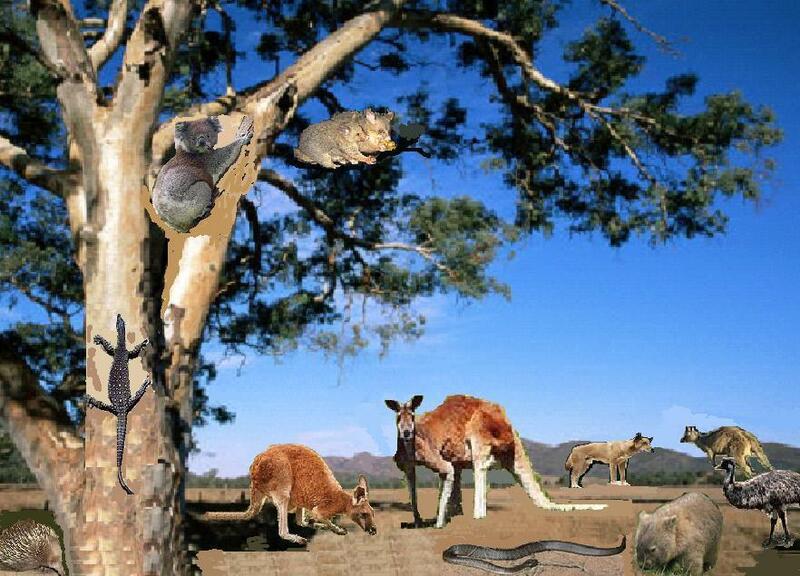 Here are the Australian bush animals who were gathering outside the GT Stoogies annex. The possums came out earlier than usual but platypus was too shy to put in an appearance. We returned from the Aussie Rules Football match just in time to put up the table of Down Under Delicacies – Lamingtons, Anzac biscuits, pavlova, meat pies and vegemite and some Aussie flags and posters. 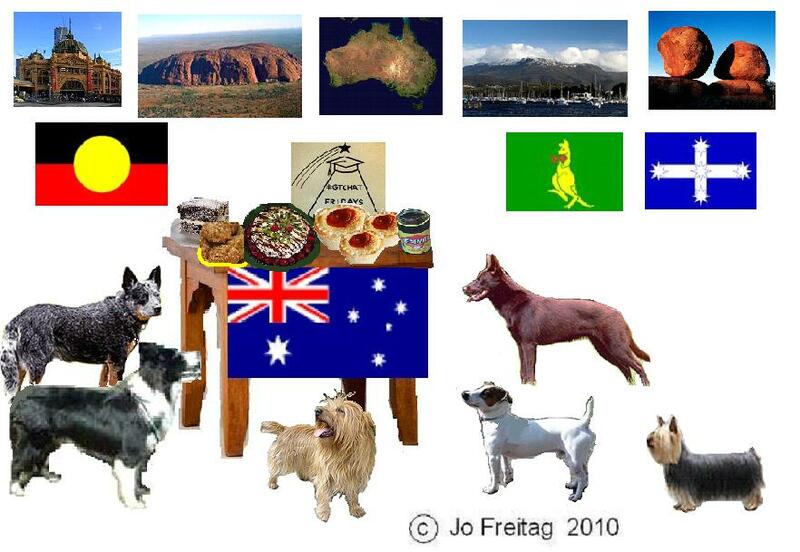 Outside the Australian animals and birds are gathering and the camp fire is lit for billy tea and damper. I will put up more pictures if time permits. 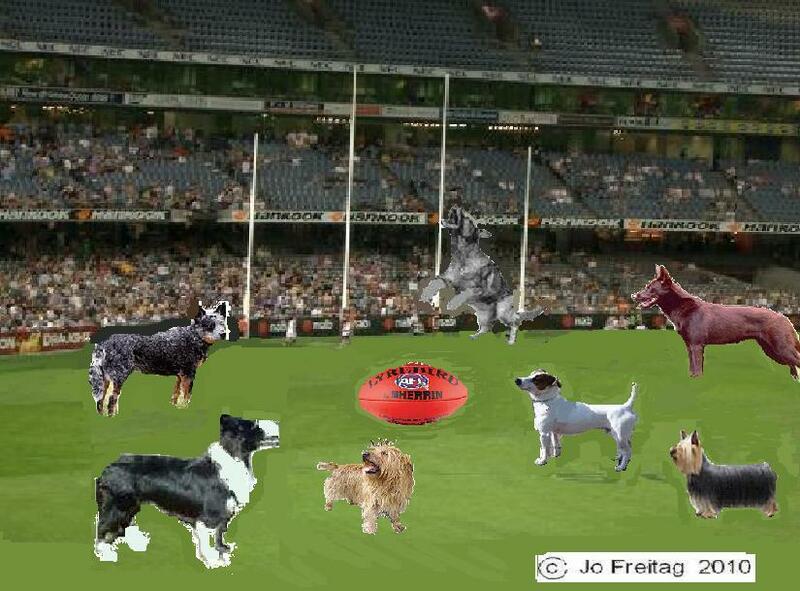 Intellectual and Psycho Motor Dabrowski are joining the Australian taste tester dogs Australian Cattle Dog, Kelpie, Australian Terrier and Australian Silky Terrier in a pre #gtstoogies Down-under Delicacies Feast game of Australian Rules Football. They are waiting for the first centre bounce of the ball to get the game started. Like Jack Russell Terrier, Intellectual Dabrowski, the Border Collie, feels very much at home as, although Jack Russell Terriers and Border Collies originated in the UK, the breeds were also developed in Australia. Psycho Motor is well accepted by the Aussie crowd because he is very active and a bit of a larrikin. He is bouncing already, hoping to take “a screamer of a speccy”, as the Aussies call leaping up to mark the ball by grabbing it in their hands. “That was the best Introducing Yourself exercise ever!” Sprite told me. 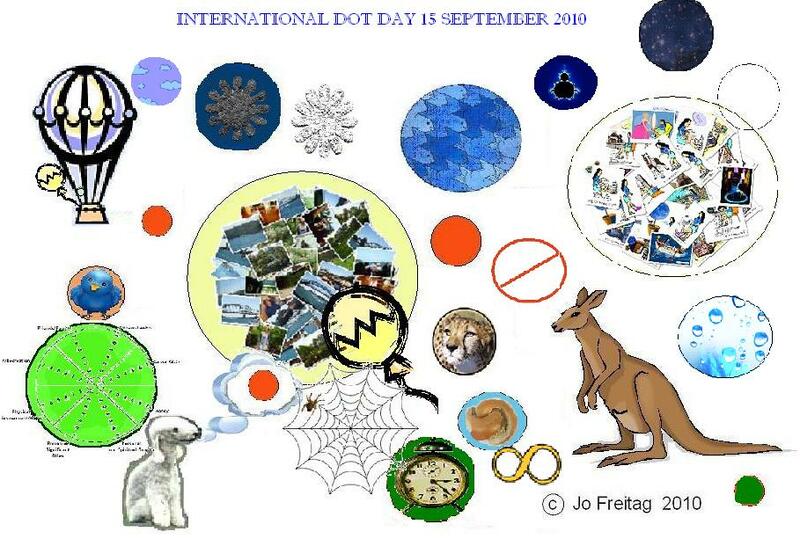 It is all based on a book The Dot about a girl called Vashti who didn’t think she was creative until she drew one dot. The message is just make a mark and see where it takes you. “So, tell me about your dot picture” I said. The journey through cyberspace to attend the #gtstoogies Global Bake off – Delicious Dessert Delicacies proved typical of life with Dabrowski’s overexcitabilities. Sensual complained throughout the trip. The seat was too bumpy. The wind was blowing in his face and whistling in his ears. He felt queasy. He was anxious about the food at the Bake off and wondered whether it would contain anything that he would be allergic to which would make him itchy. Imaginational was also speculating about the Bake off and what each of the #gtstoogies would cook for the event. He imagined what the twinkling lights could be – perhaps they were stars and the cyberbike was flying though space. 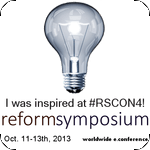 Perhaps they were lights in homes, or a glow worm grotto or maybe they were patches of phosphorescence and the cyberbike was flying over an ocean. 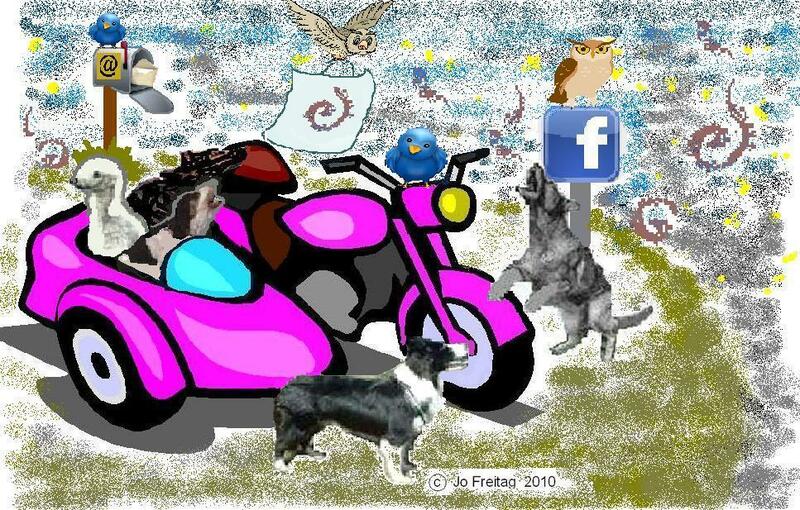 Maybe they were party lights and the cyberbike was heading toward the most wonderful glittering gala occasion! Intellectual kept up a running commentary about the geography and history of the surroundings and tried to engage everyone with word games, memory games and I spy type games. He did become a bit tedious and pedantic at times. Emotional reacted with yelps of delight or howls of despair to every sight, sound and scent. And Psycho Motor sometimes sat on the cyberbike and sometimes ran beside it trying to bite the wheels. He barked constantly; excited about the Bake off, excited about the spinning wheels, excited about the twinkling lights and wanting to run off and inspect each new tree and signpost. He kept up a running commentary of “Are we nearly there? Are we there yet? Oh, look! Look at that! Are we there yet? 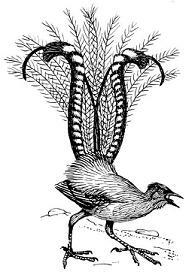 The Twitter birds have called in the Ow.ly birds to help give directions and act as shorteners for our cyberbike journey!